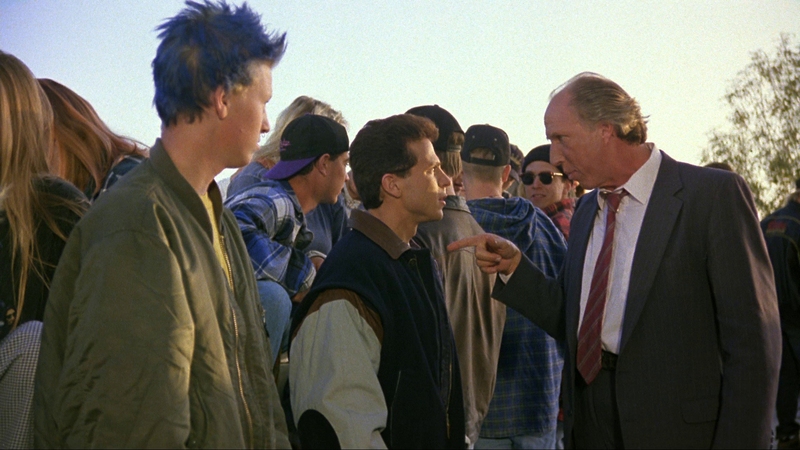 Showdown imagines high school of the early ‘90s as a place where kids use knives during class and an exposed gun on campus isn’t cause for terror. Then again, it also envisions a high school senior as 30-something Kenn Scott, and the supporting characters a better fit for Power Rangers’ Angel Grove. 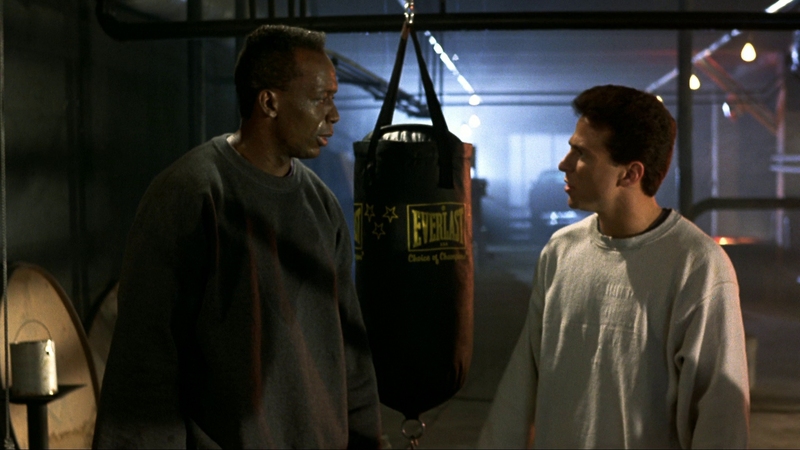 Billy Blanks plays Billy and Kenn Scott plays… Ken. Showdown doesn’t seem averse to hiding its lack of creativity. 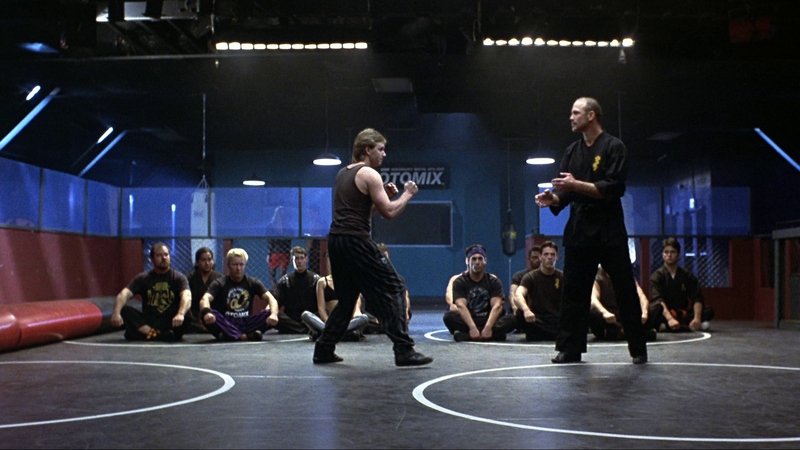 In ripping off Karate Kid almost a decade after Mr. Miyagi became a pop culture staple, Showdown directly references the famed, “Wax on, wax off” sequence. For Showdown, everything is little more sinister. While at times comic (and comic even when not intending to be), the macho, masculine, muscle-pumping brawls all concern a girl. Christine Taylor spends most of Showdown locked in a controlling, abusive relationship with boyfriend John Asher. Scott then needs to learn to fight, not for honor but to turn Taylor’s affections toward him. 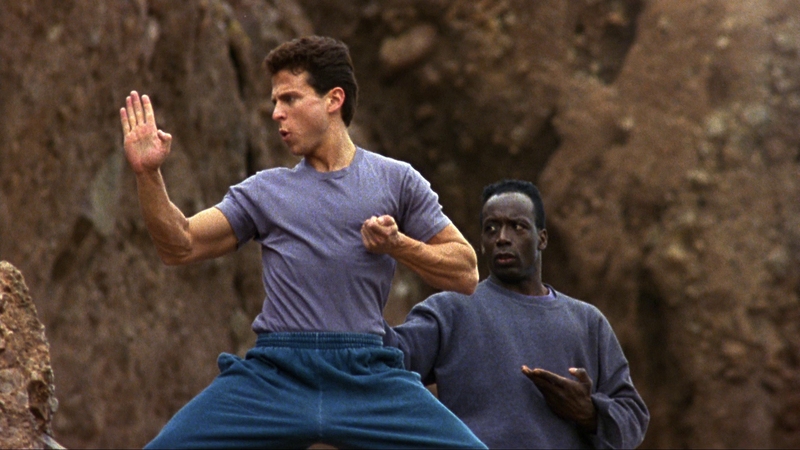 Law of the jungle, pride of the lions, alpha male absurdity, dosed on a revitalized martial arts pop culture of the early ‘90s. Thank Ninja Turtles, which Scott himself took part in as a suit actor in Secret of the Ooze. Laugh at the absurd sax soundtrack during multiple training montages. Giggle at the inane lines. Snicker at the ludicrous high school stereotypes. Underneath is a rough, overtly violent romance. He who kicks the best gets the girl, so goes Showdown’s mantra. Taylor finds herself the recipient of physical abuse, and Asher needs to up his villainy to an extreme as to make him an unquestionable bad guy. 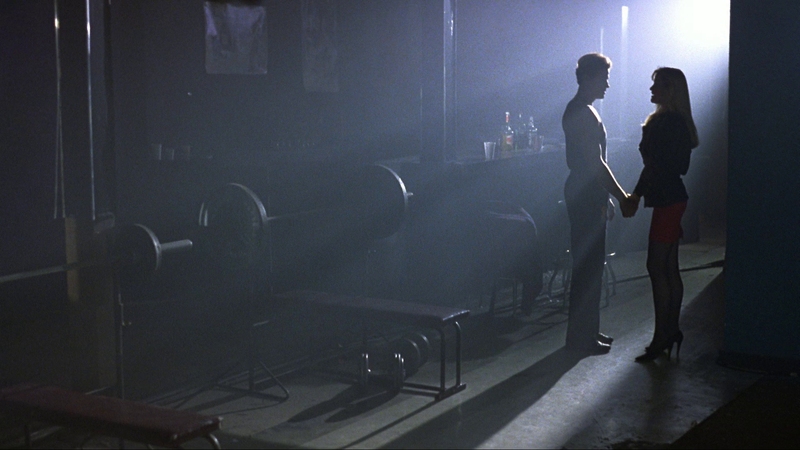 By the end, Showdown stages brawls inside of a high school fight club with kids (again, 30-somethings, but still). 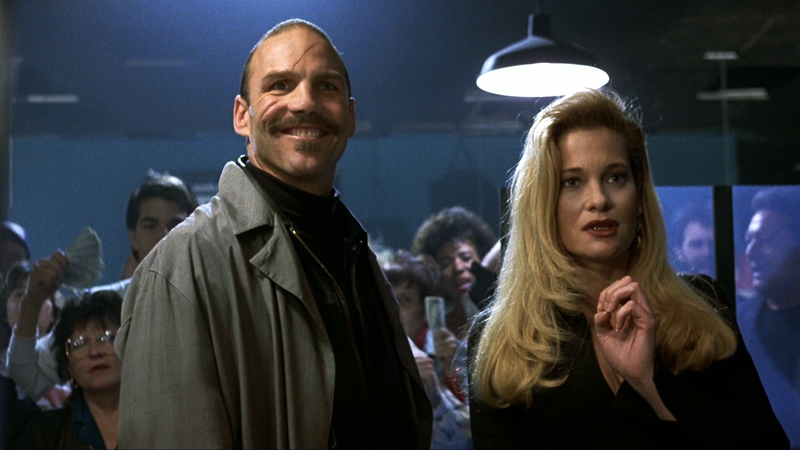 It looks, sounds, and is as absurd as those early UFC pay-per-views – which ironically debuted the same year as Showdown. 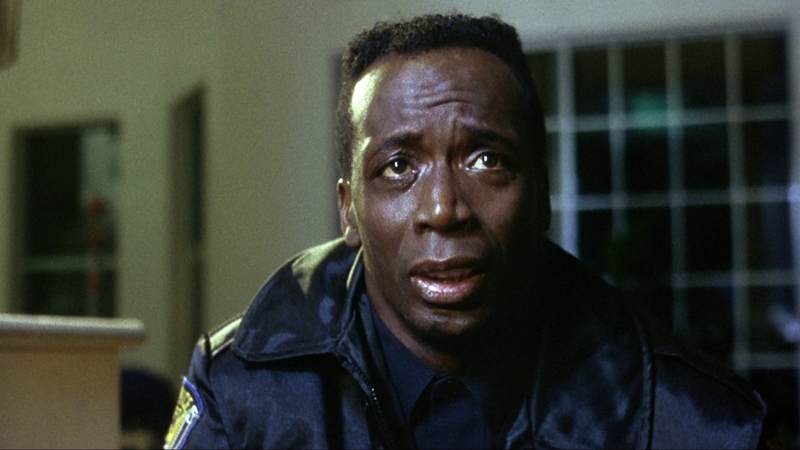 For Billy Blanks, he bides his time as a kindly school janitor who knows kung-fu. 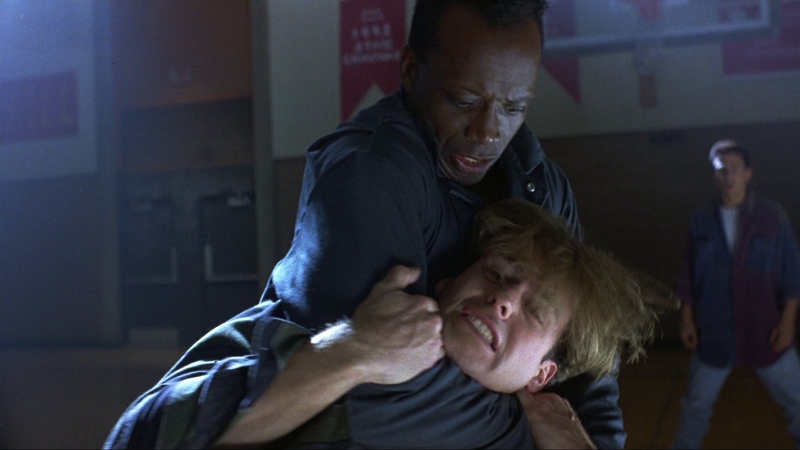 Imagine in 2019 if a karate-trained, ex-cop custodian stepped in and gave the school bully a roundhouse to the face; the ‘90s were a different time. He’ll train Ken – this is Showdown’s Miyagi – leading to the final duel where both men need to face their fears and conquer evil. As pure direct-to-video fodder, there’s no emotion involved. 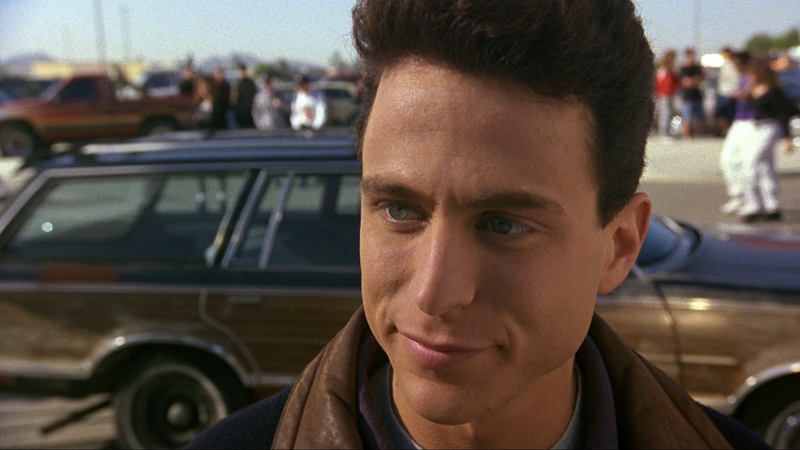 Blanks’ Billy left the force after accidentally killing a kid (again, another 30-something), but that’s only script fodder to lead into an investigation of the fighting ring. Ken’s a limited hero, Asher is so direct, no school would allow him near their doors. It’s all pure fantasy, a high school melodrama targeted at dudes looking to live out their cruddy teen years through a fight flick. MVD drops Showdown on Blu-ray with a little bit of care. Considering the minimal budget, the film stock looks cheap, with heavy grain, luckily resolved well by the encode. Mild damage remains, mostly by way of dirt. Nothing approaches severe. Resolution finds a bit of detail inside, routine if flat. A little texture shows through, catching some of the school’s bricks or facial definition. Consistency is spotty though. As for major issues, one is contrast with whites clipping, running overly hot. This loss of detail continues throughout at a cost of natural depth. Black levels falter, particularly muddy during a late night car ride where the scene is swallowed by brown. Also, there’s a strange, recurrent interlacing error. Confined to brighter parts of the screen when in motion, this is a small yet persistent issue. Confined to a few frames at a time (but like a dead pixel, the eye draws to it), this is a weird anomaly, almost certainly part of the encoding process. Stick with the stereo option for Showdown. Although the 5.1 mix does add some space during the fight club scenes, the application is rough. Around 49-minutes, the left front drops out. Surround use is thin and unnatural, a clear upmix from the original stereo. Either way, this is compressed in Dolby Digital. By way of the early ‘90s, dynamics never get started. Muffled dialog is audible, if little else. At least that awesome saxophone on the soundtrack doesn’t suffer. MVD goes all out for Showdown. By far the richest of the Rewind Collection discs so far, Showdown comes with an 88-minute documentary, comprised of interviews with key players including Billy Blanks, Kenn Scott, and director Robert Radler (plus others). Everyone is open about their experiences once past some unneeded plot recap. MVD is putting up a fight in a competitive market with Shout Factory-esque attention to b-tier cinema. That’s surprising, but this disc continues. For 47-minutes, fight scenes get their due in a discussion on choreography and memories of working with stuntman Jeff Imada. Blanks and Radler each get separate interviews about their careers, totaling 27-minutes total. An art gallery and behind-the-scenes gallery join trailers to mark the end of this exceptional bonus menu. 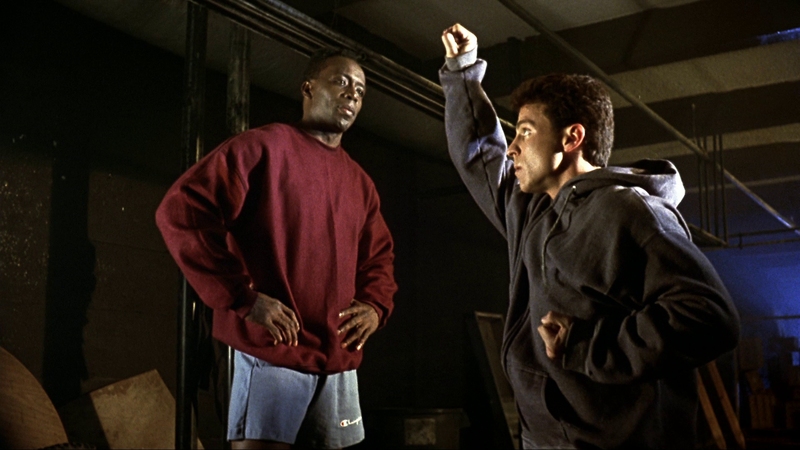 Billy Blanks punches out some high school bullies and teaches co-star Kenn Star to do the same in the crude ’90s DTV thriller Showdown. The 15 unaltered images below represent the Blu-ray. For an additional 10 Showdown screenshots, early access to all screens (plus the 20,000+ already in our library), 75+ exclusive 4K UHD reviews, and more, support us on Patreon.